Sandos Hotels & Resorts is proud to announce that Sandos Cancun Lifestyle Resort, Sandos Finisterra Los Cabos and Sandos Playacar Beach Resort have all received their first RAINFOREST ALLIANCE CERTIFICATION this year. 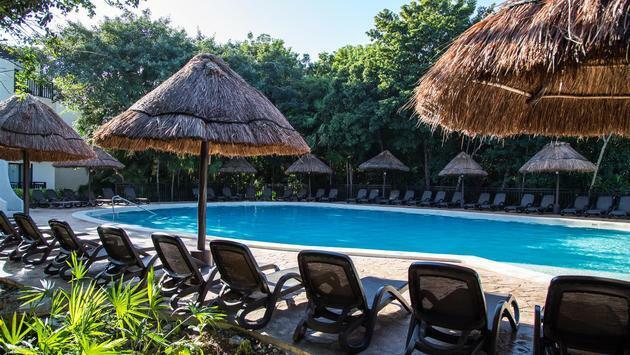 These three hotels join the brand’s other Mexico-based property, Sandos Caracol Eco Resort, which has been recertified several years in a row and just received its highest ever score of 97.27 percent this year. With this latest news, all four Sandos resorts in Mexico are now officially Rainforest Alliance certified. To add to this achievement, all four resorts have also been awarded the TRAVELIFE GOLD CERTIFICATION as a result of their high Rainforest Alliance scores. Sandos has created many initiatives and programs to make these certifications a reality, and resort guests can even get involved with many of them on their vacation! For a more detailed and complete list of Sandos Hotels & Resorts certifications, please visit the Sandos Awards and Recognitions page.